Often the more we learn, the stronger our desire to seek out the knowledge we are missing. This was the case for School of Environment and Sustainability (SENS) certificate graduate Leah Jordan. She spent her first three years as an environmental earth science major in the College of Arts and Science before deciding to make the switch to environment and society. "After learning about the science behind environmental studies, I often found myself wondering why more isn't being done to mitigate issues like water shortages, food security, climate change and urban sprawl," said Jordan. "I switched majors with the hopes of incorporating a multi-disciplinary approach to environmental management in my studies." When Jordan found out about the SENS undergraduate certificate in sustainability, she saw it as another way to take her degree one step further and pursue classes that suited her interests in community and sustainability. "I took a political studies course called Aboriginal development strategies that was really different from anything I had taken as part of my major. I wanted to complement my Environment and Society degree with courses that would also apply to my future career, and the SENS certificate gave me the chance to do just that," said Jordan. "I want to work in Northern development and now employers can see that I've dedicated time to studying relevant courses." Jordan was the first of five students to complete the program and received her certificate at spring convocation. Today, she is the renewable energy project intern with the Saskatchewan Environmental Society. 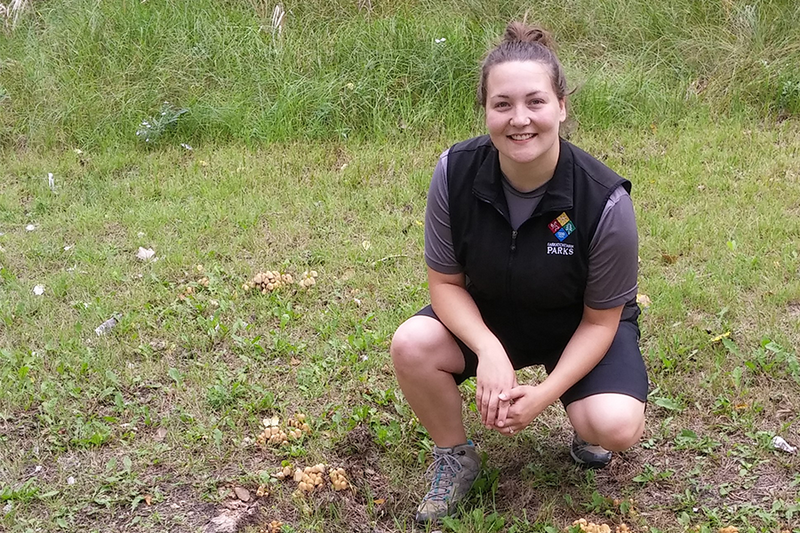 "Following convocation, I accepted a seasonal job with Saskatchewan Parks as a park naturalist, sharing my knowledge with both kids and adults," said Jordan. "I loved seeing their faces as they discovered the natural environment. I began my internship at the Saskatchewan Environmental Society in September. I now get the opportunity to apply my knowledge about sustainability to various projects." "Play to your strengths. I found the certificate to be very flexible and there is something for everyone. I also found it helpful to see an academic advisor and mentor—they all want you to succeed! Also, connect with like-minded individuals who are interested in the same things as you. ENVS 201 (the certificate's foundational class) may be your first opportunity to meet people who are also pursuing the certificate, so seize this opportunity to make friends." Meagan Hinther is a commu­nications specialist with the Global Institute for Water Security and the School of Environment and Sustainability.